What is Korean chili powder (Gochugaru)? Let’s learn! What is Gochugaru (Korean Chili Powder)? Gochugaru (고추가루) has a few different English names under its belt. 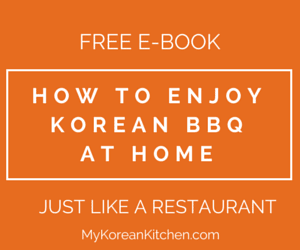 Korean chili powder, Korean chili flakes, Hot pepper flakes, red pepper flakes etc. Gochugaru is one of the most important Korean cooking ingredients. 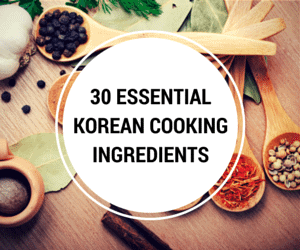 It is used in Gochujang (Korean chili paste), Kimchi, spicy Korean soups and stews (e.g. Sundubu Jjaigae) and spicy Korean side dishes (e.g. Korean spicy cucumber salad). Korean chili powder tastes different (e.g. often not as spicy) to other chili powder varieties (e.g. Thai chili) available on the market, so it is best not to substitute with these kinds. Please also note that some Korean chili powder is spicier than others. Many Korean households make their own chili powder. They try to source good quality dried Korean red chilies at a farmer’s market and once they bring them home they do the following. Cut the stem off the red chilies with a pair of scissors and open one side of the chili and shake off the seeds. (According to my mum, it is best to leave some seeds on still as it makes more tasty chili powder.) It is also possible to buy dried red chilies that are already trimmed and cleaned. If so, move onto the next step. Wipe the chilies with a dry cloth thoroughly and take it to their local rice mill (Bangatgan, 방앗간) and ask them to be ground according to their preferred particle size. There are mainly two different kinds of Korean chili powder and they are used for different cooking needs. Once you open the package, it needs to be kept in a cool shaded place. It can get mouldy if you don’t store it well. I keep mine in an air tight container and in the fridge. When the chili powder becomes hardened, you can use a food processor to separate it again. Just a few seconds of pulse will fix it. Update: This article was originally written on December 15, 2006. Store my chili flakes in the freezer and they last a very long time. Hi, I have Korean Hot chili Flakes in my fridge, forgot about it and I checked that it has passed it’s expiration date, but they don’t look moldy, or black. They are still reddish and apicy when use. My gochugaru has turn into somewhat blackened in color. Does it mean it goes bad ? I did bought like a year or two back. Possibly. Where / how did you store it? As I mentioned in the post, if you don’t store well, it can get mouldy. To be safe, if it has passed the expiry date, I would discard it. I bought the wrong type of Korean Chilli for my kimchi. Despite the packaging and wording is exactly the same, it is difference in terms of chilli powder vs. chilli flakes. Can I use the chilli powder instead of using chilli flakes? If the measurement calls for 1 cup of chilli flakes should it also be 1 cup of chilli powder? As long as it’s coarse chilli powder/flakes, you can use it for Kimchi. I wouldn’t caught up with the wording as different manufacturers use different wording. Fine chilli powder is for gochujang (most of the time) and it tends to be spicier. I tried Kimchi first time and I found it very hot spiced, burned my tongue. I rinsed it with water and it was OK. What should I look for next time to buy a milder version? Unfortunately, Gochugaru sold at a typical Korean grocer doesn’t specify whether it’s mild or spicy etc. (It’s possible to buy less spicy pre-ground chilies at a traditional market in Korea though.) Perhaps you can use less Gochugaru than what the recipe calls for. Don’t ever use Water with spicy food! Capsaicin is an Oil, and Oil and Water doesn’t bind, it is non-polar to polar, Water throws it around more, making it worse! Oil, butter, sourcream, or cream cheese will help remove capsaicin from the tongue. Polar solvent for polar irritant. I always serve sesame oil and rice along with food made with spicy peppers like gochugaru and gochujang. Can I use paparika (red chilli powder) to make kimchi instead of gochugaru as it is not available in my area??? 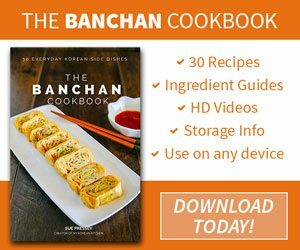 I’ve come across other people making kimchi with it. I personally wouldn’t know how it will turn out without testing it myself. what if i cant find korean chili powder? is there any substitute? Thank you so much, Emma, I was so worried I couldn’t make it. I will try that! I use HOT, not SMOKEY paprika when I can’t find Korean pepper powder or paste. 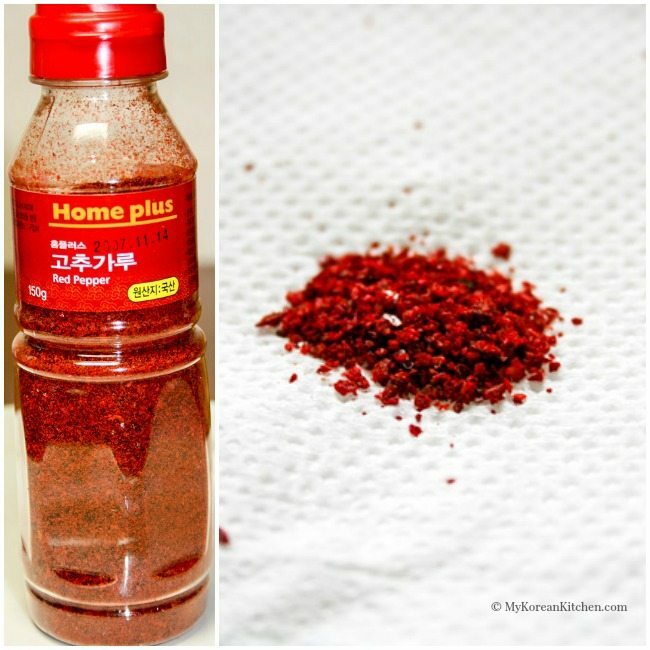 Hot paprika (finely ground Hungarian hot pepper)makes a very useful substitute for finely ground Korean pepper. Anyway, for chili powder (Gochutgaru) that Koreans use, sun-dried chilies are known as high quality chilies. when u dry this chilli.. is it the same as thoe whole dried chilli we get from the chinese stall?